His children, Patrick and Bridget, stood on a table near Christie before overturning a large bucket of water on his head. The campaign, spreading rapidly on social media, aims to raise money and awareness for research into Amyotrophic Lateral Sclerosis (ALS) – or Lou Gehrig's disease. Started by Pete Frates, who has lived with ALS since 2012, and his family, the campaign asks participants to dump a bucket of ice water on their head and then nominate their friends to do the same. Those friends have the opportunity to follow their friend or donate $100 to ALS awareness. Using the #IceBucketChallenge, the campaign has garnered national attention, with celebrities and athletes taking the challenge. Other politician have jumped on the ice bucket bandwagon, including former Sen. Scott Brown and Rep. Joe Kennedy. President Obama declined to do the challenge and pledged to donate money to an ALS charity instead. Our town seems to be very lucky concerning weather, hope you come out well wup, this can be so very expensive and laborious repairing water damage. True. And if the government is so bad why do they want to be a part of it so badly??? If it's so evil and broken? And why is government only broken when there's a Democrat in the WH? Long Island caught the worse of it overnight, in the early morning hours. Between midnight and 9 AM, the island saw over 12 inches of rain across half of the island. They recorded 9 inches of that rain falling between 5 and 7 AM. Many streets went from simply wet to three foot deep floods in less than a minute as the runoff rushed across the land like tsunami wave. I'm not sure how much rain we got but it was a lot. The streets were flooded and the freeways. So many flooded basements. Kids were kayaking in the suburbs. Though I don't know how, the water was filthy. The street flooding made it into our local news. Hey, be safe ... ! Did Gov. Chris Christie go to Mexico ? It's a good cause, my wife recently died of ALS and it's complications after having it only two years, I guess I'll have to challenge all of you out there to do the bucket or make a donation to the ALS Society . Maybe someone else won't have to suffer so much!!!!! I'm sorry about your wife but I don't think anyone here is saying it's not a worthy cause. I'm sorry, too. We've been just wondering why people are dumping ice on their heads, instead of making a donation. I’m sorry about your wife but I don’t think anyone here is saying it’s not a worthy cause. I’m sorry, too. We’ve been just wondering why people are dumping ice on their heads, instead of making a donation. 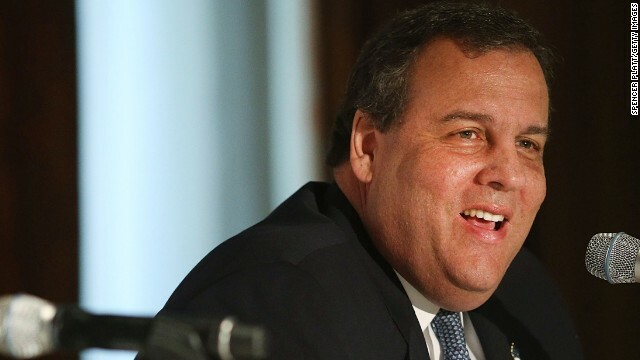 Btw, Wes, guess what my one word to describe Christie is, disaster. You guys on this thread should be ashamed of yourselves. Dude is doing a good thing and creating more awareness and all I read are fat jokes and other derogatory comments. Your disdain for anyone that does not agree with you politically is palpable and disgusting. He's raising more awareness which leads to more donations. Shame on all of you. This is a waste of ice water. If the Republicans feel like dumping ice water over their heads, they should save the ice water and just look at their poll numbers vs Hillary Clinton. Awareness? Are they making donations, too? That's all that we're asking because the way we understand the challenge is that you either donate, or take the plunge. Do you plan to dump a bucket of ice water over your head? I don't.